It is time! 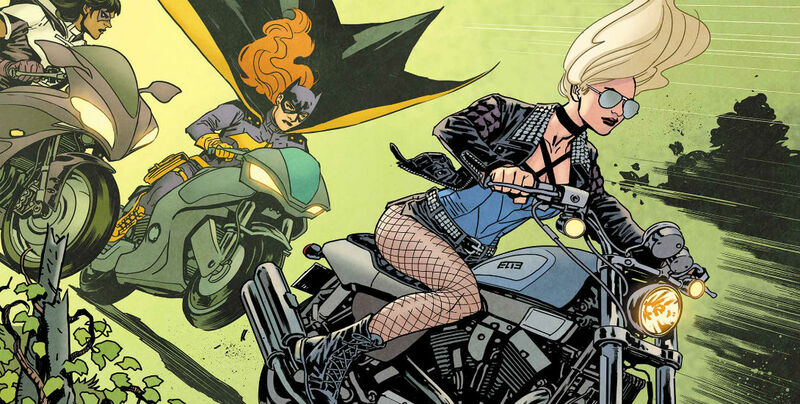 Finally back to reviewing Batgirl and The Birds of Prey after what seemed like an eternity. I have to admit, I was aching to start reading issue #14 after the previous “Source Code” story arc ended on a phenomenal, game changing note. 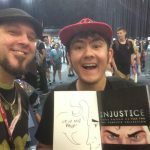 The first thing I will say about issue #14 is wow- it features ALOT of characters. Seriously, there were alot of characters shown in this issue- albeit they were relegated to cameos. Many prominent characters such as: Poison Ivy, Catwoman, Batwoman, Clayface (Clayface…really?) and even Batman himself appear! However, while it was a surprising joy to see these characters making an appearance; I couldn’t help but feel like they were just shoehorned in. 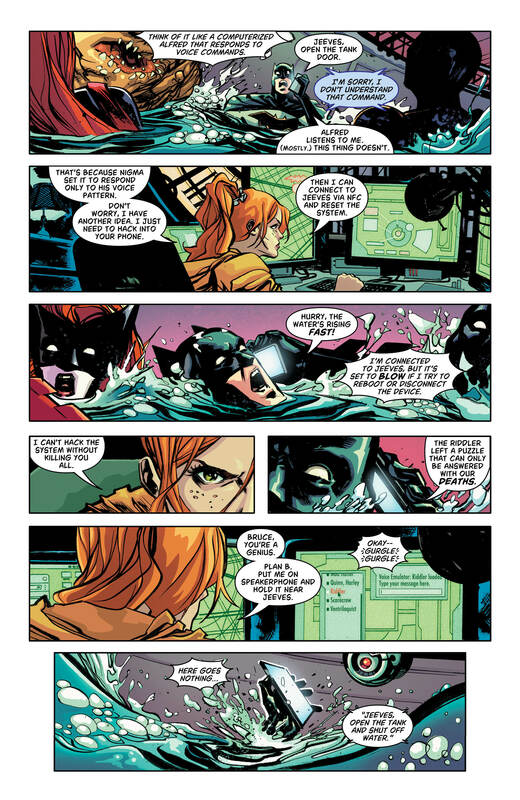 Unlike Bruce Wayne’s cameo in issue #12; their appearances didn’t advance the plot. Issue #14 is significantly different from it’s predecessors as it’s more of a one-shot standalone story, rather than the beginning of a new arc. 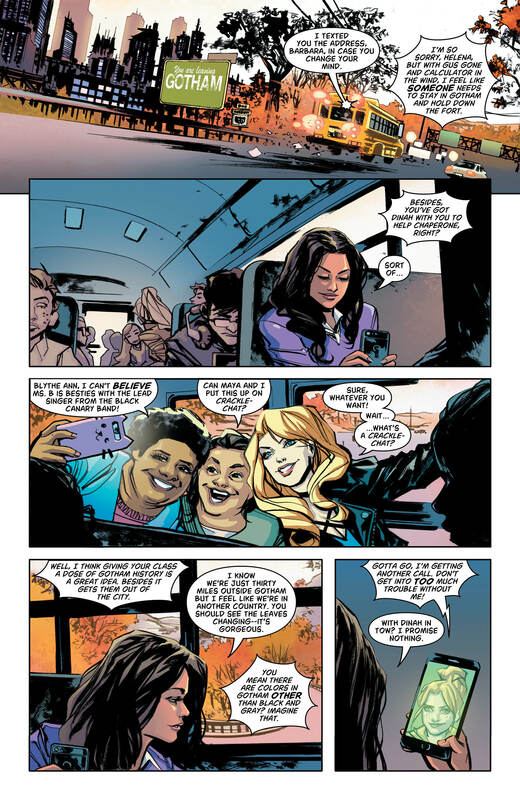 It begins with Black Canary and Huntress accompanying a group of high schoolers on a field trip to an old village outside of Gotham. Initially it appears to be a simple school trip, until a decades old legend resurfaces from the past to wreak havoc. Black Canary and Huntress soon cross paths with the malevolent villain, Blackfire. An immortal person wielding a supernatural staff who terrorised Gotham many, many years ago. Blackfire starts his reign of terror by kidnapping the high school kids. At first the Birds of Prey duo are out-powered by Blackfire’s evil mysticism. Eventually the two heroines were able to defeat, trap him in a cave and save the children. Admittedly the weakest part of #14 was Blackfire himself. His motivations were so generic. He didn’t pose much of a threat. His characterisation was flat and he became ultimately forgettable. Seriously. When writing my review, I had to literally search through the comic again just to remember his name. Also, I found it really odd and ridiculous that the school kids actually believed the whole Blackfire encounter was an elaborate scheme. This was a very contrived and outlandish way to end the story. Batgirl is busy performing her own heroic deeds. 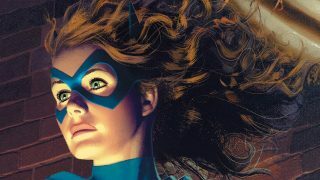 With the departure of the former Oracle, Gus, Barbara Gordon is now adjusting to her dual role as Batgirl and Oracle. 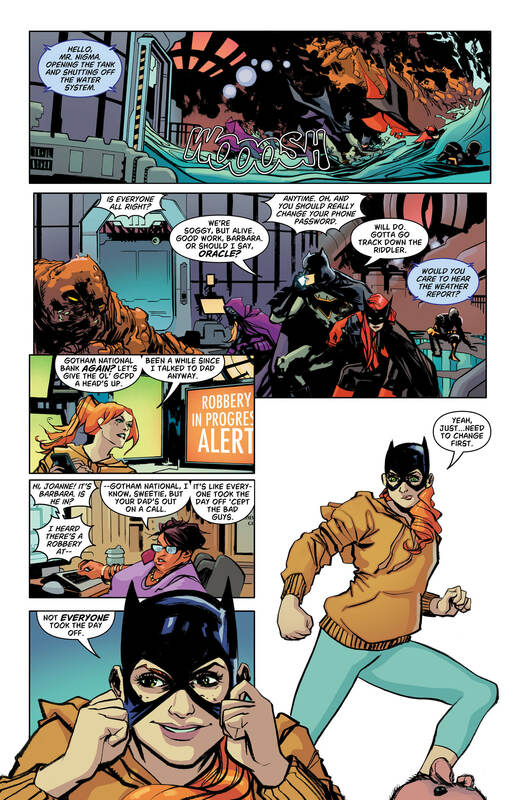 After helping Batman and his team escape a death trap, Barbara Gordon sets off as Batgirl to help Gotham. with help from Catwoman and Poison Ivy! The dialogue was at times fun and witty, yet cringeworthy. 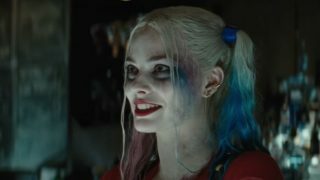 As always Shawna & Julie Benson have done a fantastic job in crafting The Birds of Prey’s chemistry. 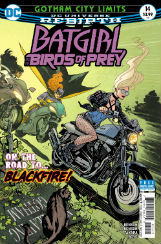 Issue #14 marks the first Birds of Prey comic illustrated by Marcio Takara. I must say; the artwork was astounding. Marcio Takara manages to craft a new aesthetic, while still evoking the series’s distinct tone. I found the environments and many minor characters weren’t as detailed as the three main characters. 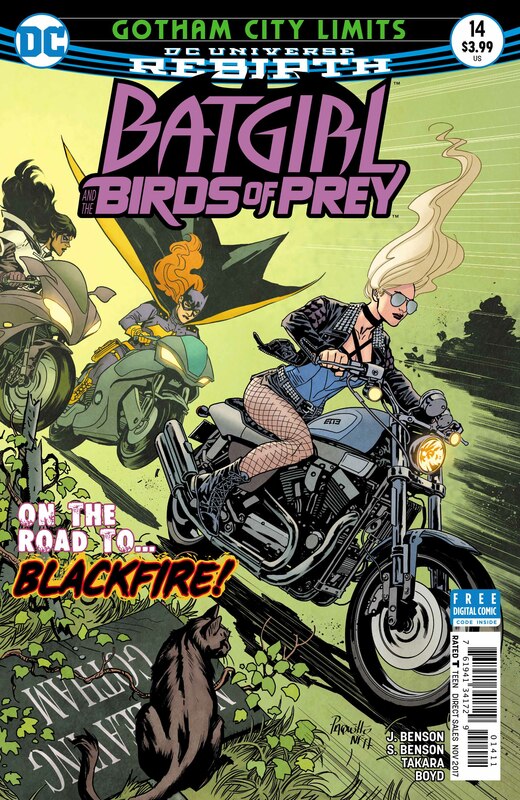 Batgirl and The Birds of Prey #14 turned out to be a fun, but decent entry into the series. Blackfire is by far the most underwhelming and forgettable villain yet. It was evident that Shawn & Julie Benson were having a ton of fun writing issue #14. 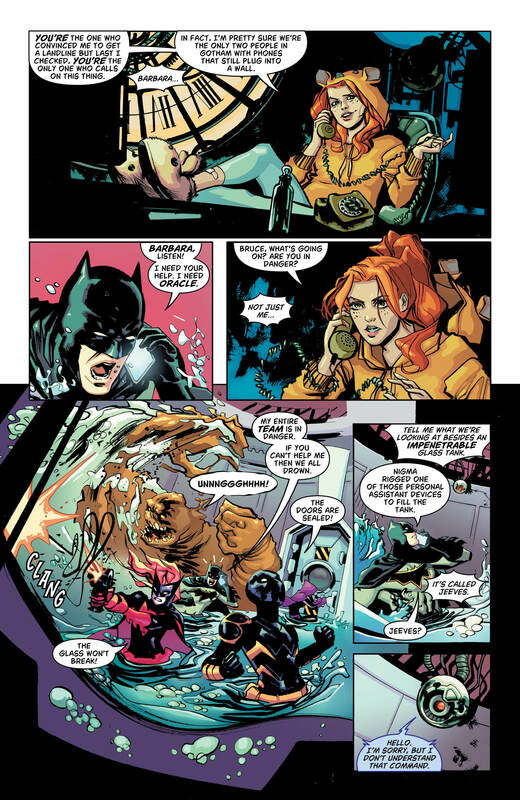 I adored how they included Catwoman and Poison Ivy and it was a nice nod to the previous issue.